For the last five years, we have hosted Christmas Day and Boxing Day for my immediate and extended family. We do Christmas well; Mum cooks up a roasted feast, Grandma makes homemade mince pies and sausage rolls, and my two-year-old niece entertains us all for hours. By the end of the Christmas period we’re pretty tired, but blessed by the time spent with family. One of the best ways to enjoy time with family during the Christmas and New Year period is to love family well. I found the following three mantras really helpful to keep me grounded, but it’s important that they are done in love first and foremost. In other words, acts of kindness and love towards your family should be unconditional just as Jesus loves us. Christmas is a busy and intense time of year, and being considerate of other’s needs is a wonderful way to love others well. Listen to relatives’ news, ask questions, and show care where you can - even when it's difficult, awkward, boring or tense. Try and be the light. Determine to do something kind for each member of your family. Perhaps offer to help those who have put a lot of effort in to ensure the Christmas celebrations run smoothly. Serving others is a wonderful way to both honour Jesus, to show them they are loved. 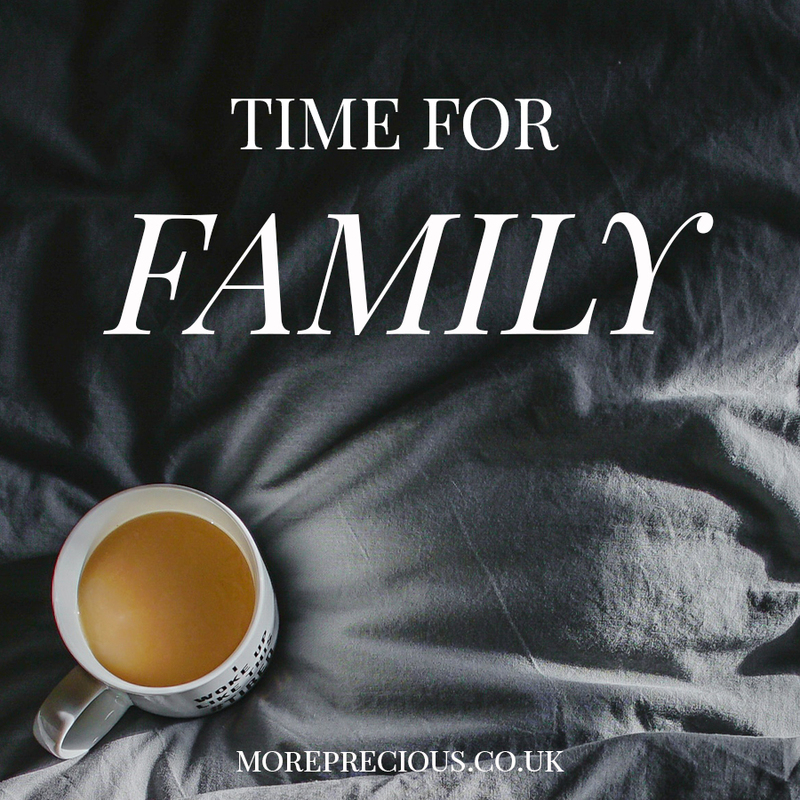 The post-Christmas day, pre-New Year period is a perfect time to relax and properly invest in family relationships. It may not be where you’d choose to be, perhaps even being with family members is not easy during Christmas; but the Bible teaches us to be content with whatever we have, using every situation to glorify Him, and striving to be present and engaged in every circumstance. Hailing from London, Nadia studied Theology at Durham and is spending a year studying in California. Only a few months after being introduced to More Precious, Nadia joined the team, using her love of writing to develop new content and pioneer new series. Nadia has loved the opportunities that MP brings and is always praying that girls would be changed and pointed to Jesus.